Proven recipe made with essential oils! For this oil mixture only high-quality, all-natural essential oils are used, making the oil blend ideal for use in the field of aromatherapy. 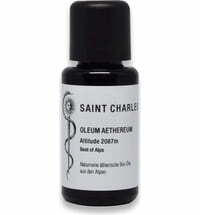 The oil blend is suitable for fragrance lamps or diffusers. As an additive for body or massage oils. Can also be used as a bath additive or for inhalation. Always read the label on the packaging before use.